Based on the bestselling novel by Markus Zusak’s, "The Book Thief" tells the story of 12 year old Liesel Meminger, a young girl who we first meet on a train somewhere in Nazi Germany in 1938. Making the journey with Liesel is her younger brother, who during the Journey, unfortunately succumbs to illness. After burying him Liesel arrives alone at the doorstep of her new foster parents, housepainter Hans Hubermann (Geoffrey Rush) and his endlessly henpecking wife, Rosa (Emily Watson). When it emerges that Liesel is illiterate Hans teaches her to read. The first book they read together is “The Gravedigger’s Handbook", a book she found lying on the ground at her brother’s funeral. As Liesel settles into her new life the Nazis start their persecution of the local Jews, burning their books and throwing them out of their businesses. It's during one of these book burnings that Liesel dares to rescue a burning book from the bonfire. This act attracts the notice of the local Buergermeister’s wife, Ilsa Hermann (Barbara Auer). Soon after, Ilsa introduces Liesel to her personal library and extends the invitation for her to come anytime she wants to read in a safe place. When Ilsa's husband catches her and forbids it, Liesel becomes a sneaky "book thief" taking books from the Hermann home when no one is around. As time passes and The Nazi persecution of the Jews grows worse The Hubermanns take in Max Vandenburg (Ben Schnetzer), the fugitive son of a Jewish comrade who saved Hans’ life during WWI. Honor-bound to hide the young man from the authorities, they nurse him back to health and he bonds with the fascinated Liesel. As both grow closer they share book readings together and he begins to encourage her to write as well. However, the risk of hiding Max begins to increase, putting Liesel and the Hubermann's in jeopardy. The novel of "The Book Thief" is without doubt a children's story and the film certainly has a family feel about it. It's more "The Diary of Anne Frank" than "Schindler's List". 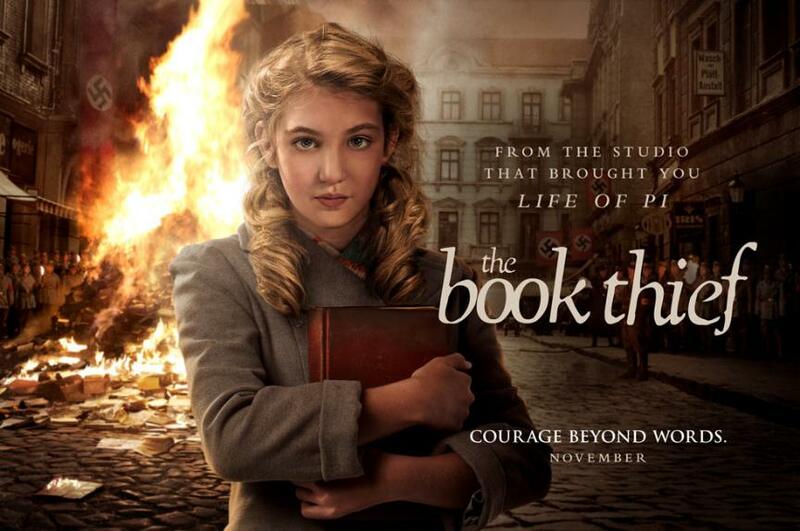 Even although it's seen through a child's eye the film never takes away the seriousness of the Holocaust and with great performances, in particular 13-year-old Canadian actress Sophie Nelisse as Liesel, "The Book Thief” remains a highly engaging moving piece of storytelling.